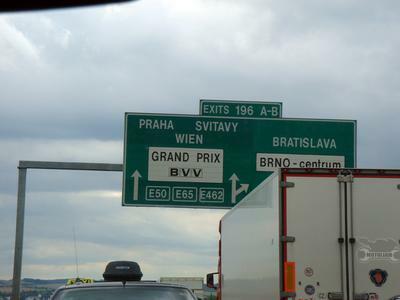 This sweet jet came along with from Prague to Brno. Actually, it was just the prop motor on this older plane used by CSA. 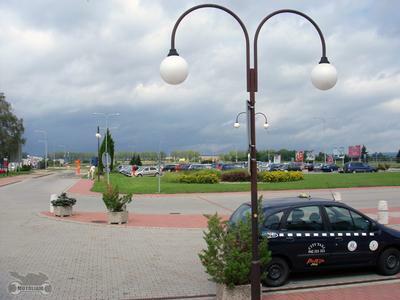 Brno airport is very quiet and smalltownish. There's literally nothing around this area, at least until you get near the center of town. This is definitely the middle of nowhere. Kind of. 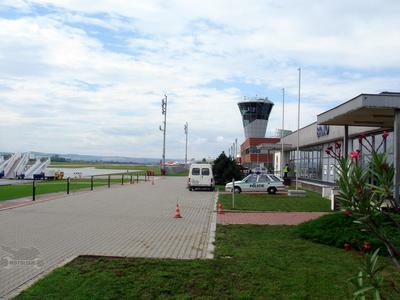 That was the back of the airport, this is front. See what I mean? I met three others from my team who had flown out from Madrid. They lost their luggage on the way. You know you're getting close to the source when you start seeing stuff like this. Can't wait for the weekend to begin! There's nothing low tech about that turboprop you flew in on. Each engine is rated to 2400 HP, turning a rather attractively curvy six-bladed propellor. 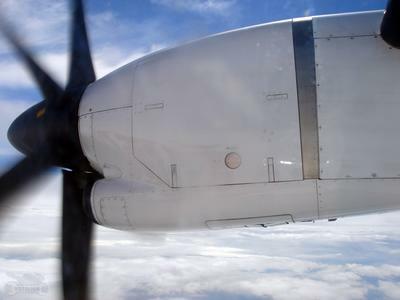 Turboprops are just jet engines which turn a shaft that is geared down to turn a big prop. They're more efficient at a given level of thrust than a turbofan. The reason you don't see them on big aircraft is that propellors have the issue of the prop tips approaching the speed of sound. Because you can't spin the prop any faster you have to add blades. Hence the six-bladed prop. 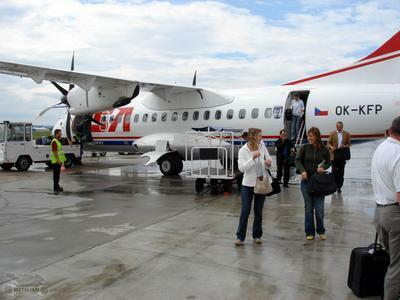 That plane is an ATR42-500 and is manufactured in Italy and France. The engines are Canadian. Planes are neat machines and are almost as cool as motorcycles. Almost. Hope you had a good GP. You ought to upload some video or pics of the new 800s if you were around for the test. I'll be at the MotoGP in Portugal in October ...... maybe I'll see ya there !